Deutsche Bank, a German bank and financial services company headquartered in Frankfurt, has been searched over alleged money laundering. 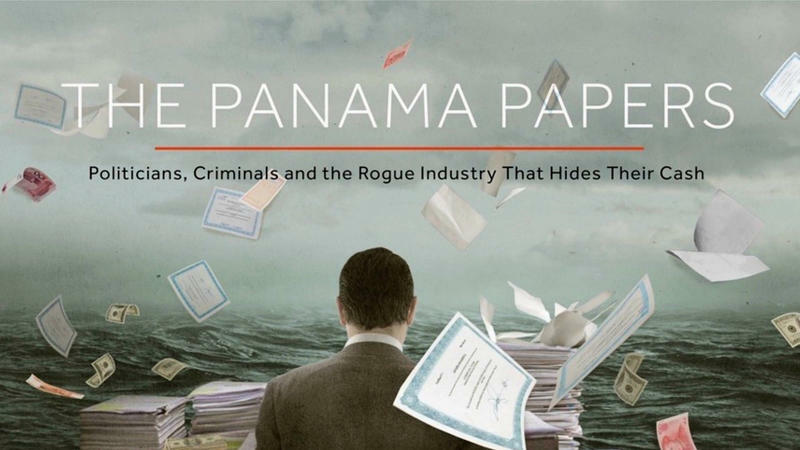 Sparked by revelations in the 2016 “Panama Papers”, this investigation which began in August focuses on activities between 2013 and the start of 2018. First, what are the “Panama Papers”? Basically, the “Panama Papers” are a massive information leak from a Panamanian law firm, Mossack Fonseca. In total, 11.5 million files were leaked, involving 214,000 offshore companies connected to people in more than 200 countries and territories. Also known as the biggest leak in history, these files show how Mossack Fonseca clients were able to launder money, dodge sanctions, and avoid tax. Together with the German Newspaper Sueddeutsche Zeitung, the International Consortium of Investigative Journalists (ICIJ) managed to obtain these files, analyze them, and shed some light on what really goes on. The “Panama Papers” were released in 2016, and two years later, Deutsche Bank is in hot water connected to it. Germany’s public prosecutor claimed that two staff members have helped clients launder money from criminal activities, and police cars were seen outside the tower blocks of Deutsche Bank’s headquarters. Altogether, 6 Deutsche Bank offices were searched, involving about 170 police and officials. Now, prosecutors are checking if Deutsche Bank staff helped clients set up offshore accounts to “transfer money from criminal activities”. Apparently, this isn’t the first time Deutsche Bank is under fire for money laundering. It has also been connected with another money laundering scandal at Denmark’s Danske Bank. A internal investigation by Danske Bank revealed that about £177 billion of payments funnelled through its Estonian branch, which Deutsche Bank confirmed that it was involved in the process. The Danish bank said many of those payments were suspicious. Previously, Deutsche Bank has been sanctioned for failing to tackle money laundering. In 2017, Deutsche Bank was fined £504 million by US and UK regulators in connection with a Russian money laundering plan as well. This time round, paperwork and electronic documents were seized, and share prices had dropped by 3.3%. So far this year, Deutsche Bank’s share prices has already fell 47%. Next articleCrocs Has Added a New Topping to Its Latest Footwear!